Asus are building a good reputation with android fans, why? Because they tell us they will update their devices quickly, and actually stick to the dates they tell us. Something many other android manufacturers could learn from. 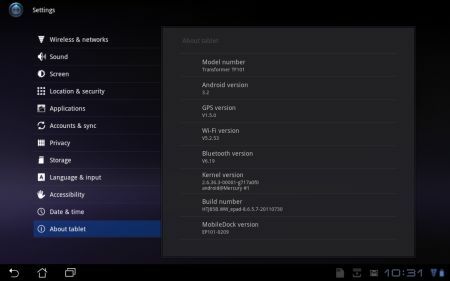 Today Asus have released the 3.2 update for their Eee Pad Transformer tablet. 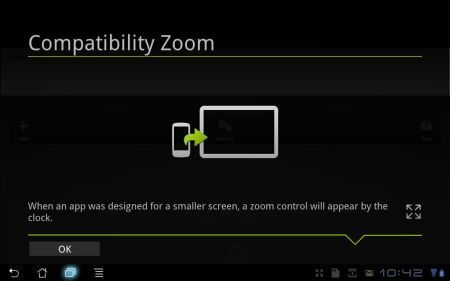 The compatibility zoom is a big one, it provides a pixel-scaled alternative to theÂ standardÂ UI stretching for apps that were not designed for larger screens. It works well enough, but most of the time you'll probably just beÂ stickingÂ to the default. Asus have also changed the screen pointer when using the dock. Now you can see exactly where both your fingers areÂ whenÂ using the trackpad as they appear as blue circles on the screen. It does seem to increase the sensitivity of the docks touchpad with regards to multitouch, but that may just be a side-effect of the new finger pointers. Have you found anything else new with your 3.2 update? Let us know in the comments.